Resources for finding new music are at our disposal in all corners of the internet; the only problem is deciding which one is the best for you. Spotify, Pandora, and Rdio all have options to discover new music on your smartphone, but they tend to expose mostly established artists, making the process of finding lesser-known but good music a game of trial and error. Through an extensive catalogue of indie artists, Choosic helps you discover songs that would otherwise be difficult to stumble upon using other music streaming services. And thanks to Tinder-like gestures, finding some awesome music is just a swipe away. 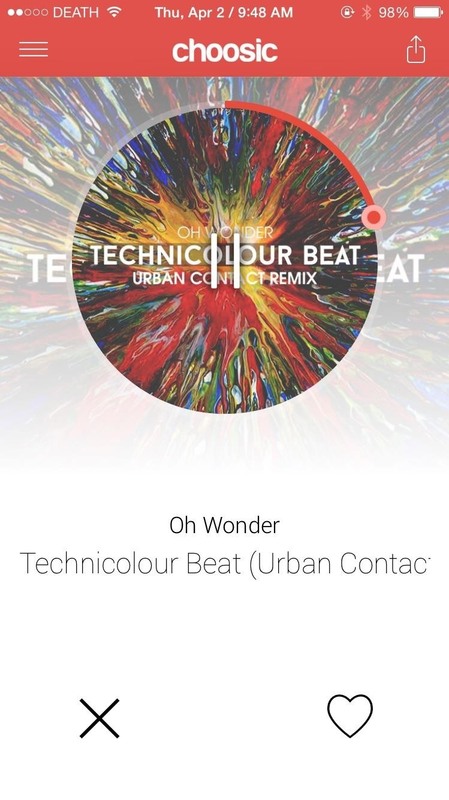 Once you log in with Facebook and select a few genres for the type of music you want to discover, Choosic will pull up new, popular, and trending music from across the internet, all curated by actual music bloggers. On the Discover page, swipe either left to dislike or right to like so that Choosic learns from your choices. Listening to music is completely free and there are no limits to how much you can swipe, so by all means, go crazy. 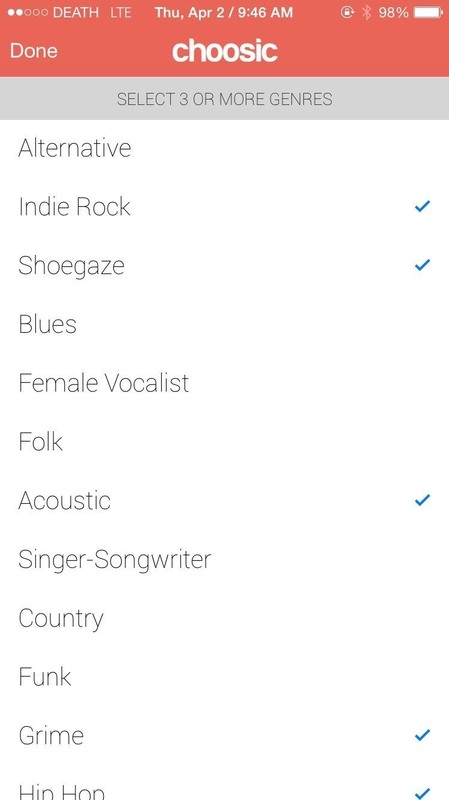 Access all of the music you like by heading over to Playlists from the side menu. 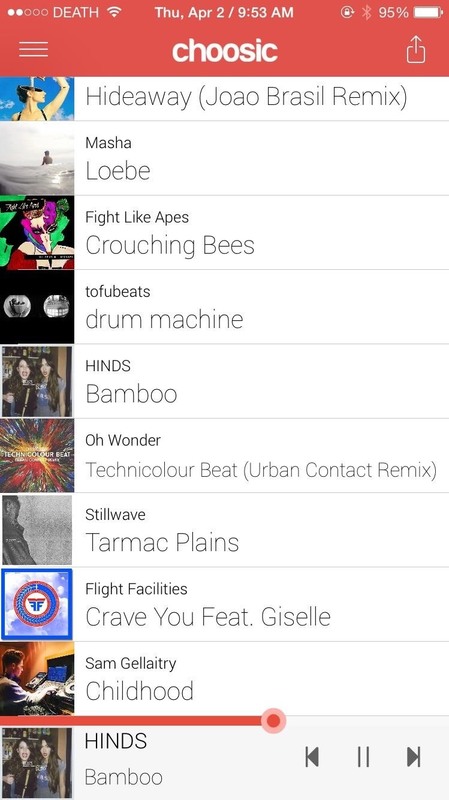 All of your songs will appear in order from top to bottom, with your most recent likes up top. 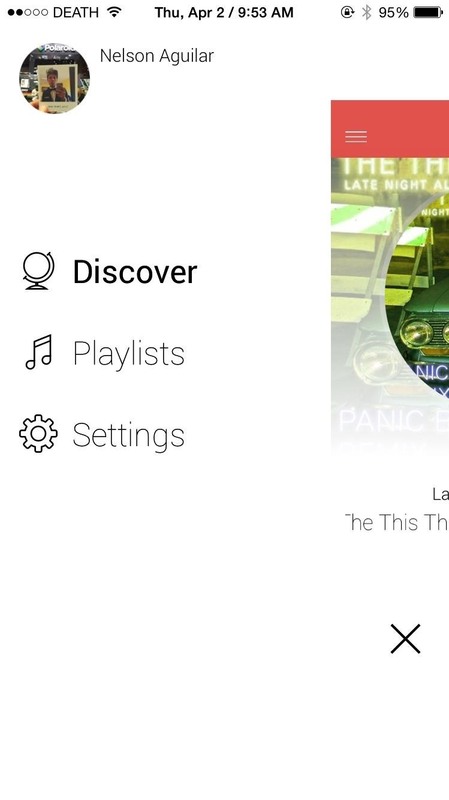 When you play a song from your playlist, music controls will appear at the bottom of the page. 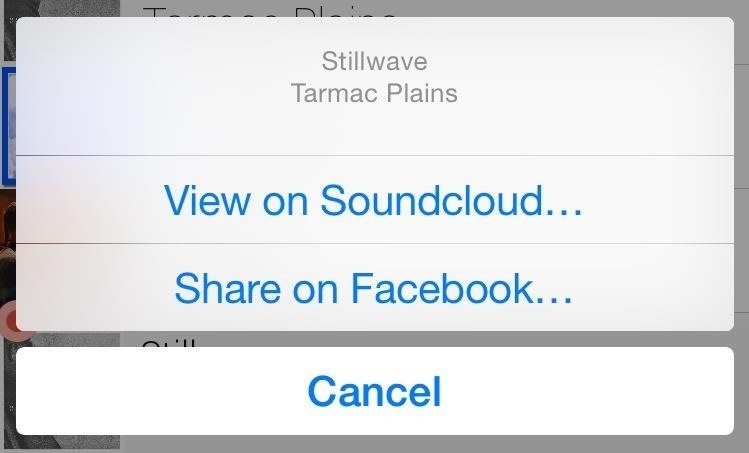 Music is streamed directly from SoundCloud, so you can tap the share button at the top right to get a link to go to the specific song's page. You can also share the song on Facebook. After using the app for a bit, I can say that the majority of artists that show up are legitimately "indie." One of the songs I ended up really liking—"Loebe" by Masha—has less than 200 listens on SoundCloud. Test out Choosic and let us know what you think, and be sure to share some of the music you discover with us! Follow Gadget Hacks over on Facebook, Google+, and Twitter for more iOS news, apps, and tips.